Baeren Milk Chocolate Stout is a 5.5% sweet stout from Baeren, based in Iwate, Japan. It’s part of their 2018 Valentine’s range of beers and it’s unknown whether it will make future appearances. Baeren Milk Chocolate Stout poured out a pitch black colour with an ever-so-slight off white head on top that faded fast. The aroma lacked punch – I was expecting some lactose creamy nose to it (it does have milk in the title). It appeared once Baeren Milk Chocolate Stout had warmed up – after leaving it for an hour that is. But who wants to pour a beer then wait for it? There was a faint chocolate-like aroma to it but much less than their Chocolate Stout. The body was disappointing from the first sip until the end. It simply lacked the thick, luscious body I wanted from a chocolate stout. This was more of a chocolate schwarz beer really. Light and crisp with some vanilla hints in there – but not much else. 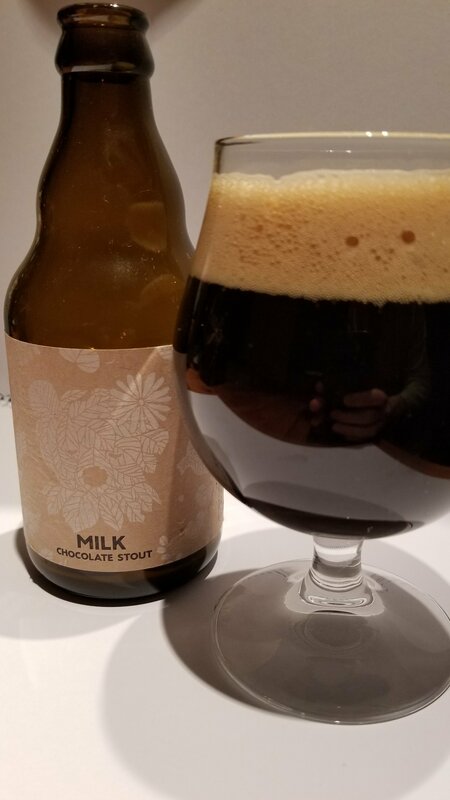 Baeren Milk Chocolate Stout is a disappointment from a brewery that I expected more from.